Reacting adequately to extreme weather can be crucial to saving lives and limiting damages to roads and infrastructure in general. 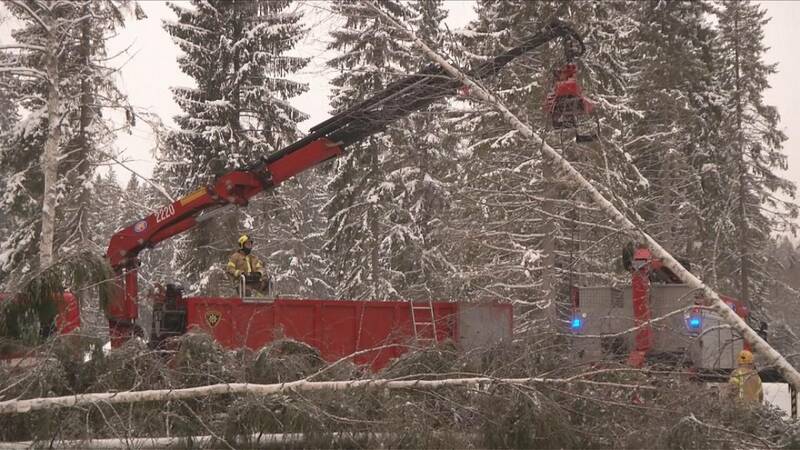 In Porvoo, near the Finnish capital Helsinki, firemen are taking part in an emergency exercise as part of a European Union project aimed at developing risk management when dealing with the consequences of extreme weather conditions. Using vehicles equipped with a saw and special hooks, they safely cut and remove the trees quickly. In Central and Northern Europe, extreme snowfall, storms or sub-zero temperatures can damage forests and infrastructure like power lines causing considerable economic loss. The aim is to develop a systematic risk management framework as well as tools to enhance the security of Europe’s infrastructure network. “With the RAIN Project, we try to help the rescue services and civil protection to improve their effectiveness and efficiency in their operations,” says RAIN Project Partner, Timo Hellenberg. Helsinki’s central market square was flooded in 2005. As part of the EU-backed project, the Finnish capital is building pedestrian paths just over a meter above ground level. They act as flood barriers and flood gates, that can be opened to allow melting snow water to flow out to sea. “By creating this sidewalk, we prevent the housing area from flooding. So, instead of protecting each house separately, we can protect huge areas by doing these quite simple embankments,” explains Ville Estlander of the Fire and Rescue Services. The challenge is on to obtain improved weather forecasts and data on how infrastructure reacts under extreme weather conditions, expected to become more frequent in the future due to climate change.